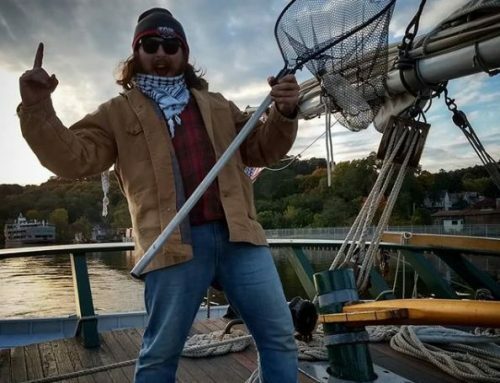 BEACON, NY – Clearwater will welcome Olympia, Washington-based artist, Nikki McClure, onboard the sloop Clearwater for two very special sails from New York City. While aboard the historic sailing ship, the artist will host book readings and artist workshops for passengers. The sails will take place on Friday, October 12th from 5:00 PM – 7:00 PM and Saturday, October 13th from 11:00 AM – 2:00 PM, both departing from the W 79th Street Boat Basin. McClure’s visit to the sloop follows the recent children’s publication, The Golden Thread: A Song for Pete Seeger, illustrated by Nikki McClure and written by The Decemberists’ front man, Colin Meloy. McClure creates stunning papercuts using an X-Acto knife. Her early work involved creating t-shirts and album artwork for friends and Olympia bands such as Sleater-Kinney. She worked with the indie record labels Kill Rock Stars and K Records and was associated with the riot grrrl movement. McClure has authored and illustrated a number of children’s books. 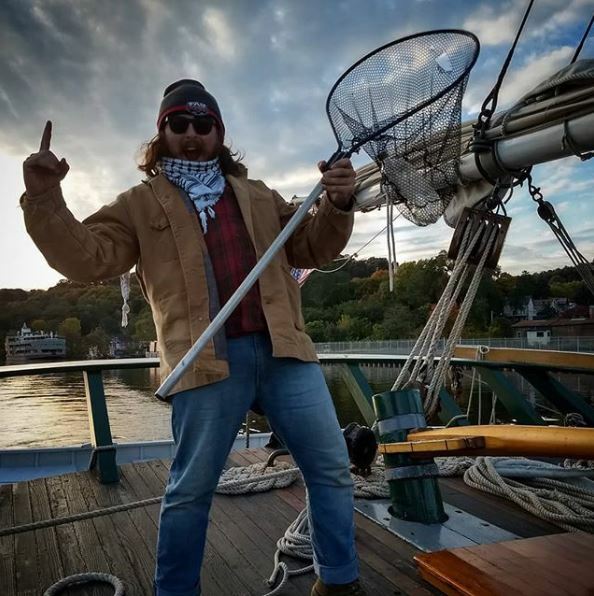 “I am looking forward to sailing on The Clearwater to connect with Pete Seeger’s dream of the river and all waters made cleaner as Clearwater’s sailors are inspired into action through love” said McClure. The Golden Thread: A Song for Pete Seeger is a stunning picture book biography of the legendary folk musician, labor and civil rights activist, environmentalist and Clearwater founder, Pete Seeger. Pete Seeger once sang that if he had a golden thread, he would use it to weave people from all over the world to one another. That golden thread, for Pete, was music. With dazzling, lyrical verse in the folk revival style and cut-paper illustrations in black and ochre that capture the spirit of the man and his times, Colin Meloy and Nikki McClure pay tribute to a visionary who changed the world with song. 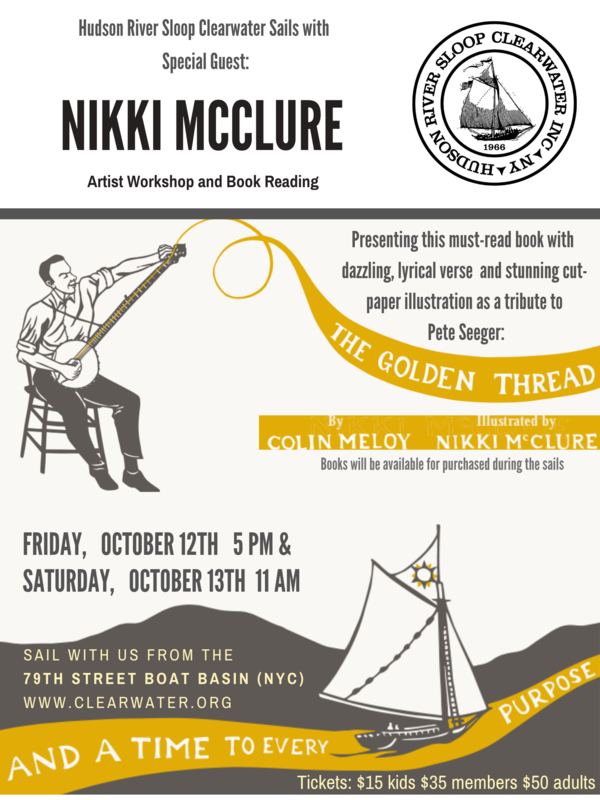 The Golden Thread: A Song for Pete Seeger will be available for purchase and signing during the sails. The sail is open to the public and will be enjoyable for all ages. Tickets available at https://www.clearwater.org/come-sailing/public-sail-schedule/.